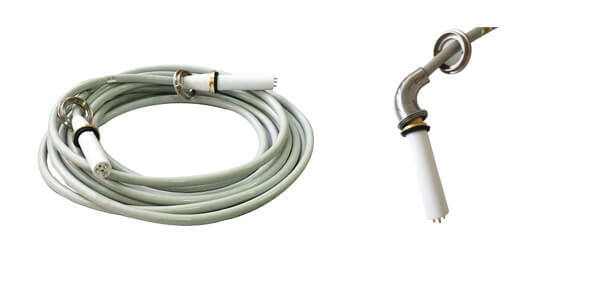 In the process of making x ray high voltage connector, we must be careful in technology and keep it clean and dry. In use, ray cable should avoid long-term exposure to ultraviolet radiation, oxidation, heating and other damage. After a long period of work, the temperature of the X-ray machine and the room will rise and vaseline will overflow due to heat. In this case, the plug must be pulled out clean and re-coated with vaseline. When placing ray cable, it is better to store them in suspension, which can prevent them from dampness and mildew. 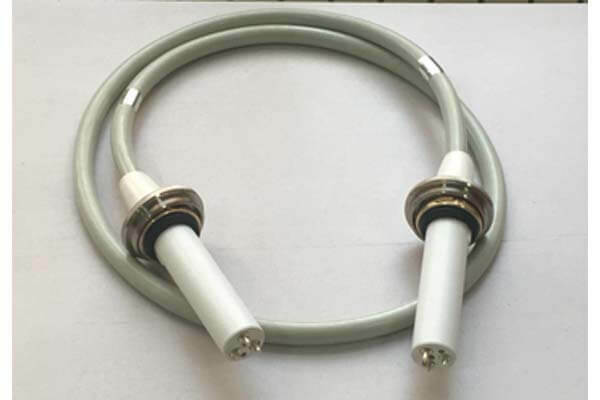 When suspending ray cable, we should also pay attention to the use of radial circular groove hangers, not directly suspended on hooks or bundled for suspension, the bending radius of ray cable should not be less than 8.5 times the outside diameter of ray cable, to prevent skin rupture. When the old ray cable is repaired and maintained, a steel sleeve can be inserted at the upper end of the plug seat to reduce the breakdown damage caused by the bending of the cable root.